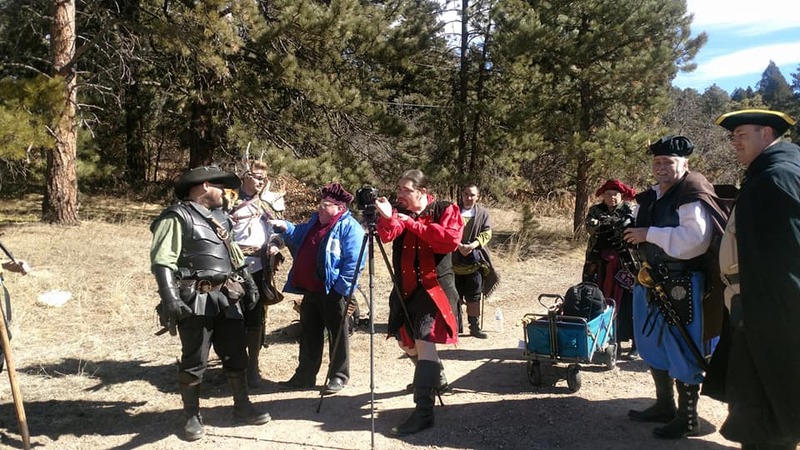 WHAT WE DO ---- We're a family focused all-volunteer Hobby Group, focusing on combining historical accuracy of the 16th century (1500s) and fantasy into meaningful & engaging multimedia projects (mostly short & feature length movies; see our Mission Statement). We are not a business. We started with 6 members back in March, 2016 (see Our History) and have since grown that number to 23 Voting Members as of August, 2018. Our Voting Membership is supported by Officers, a Logistics & Support team, and Volunteers; our Officers are elected or reelected every 6 months for their terms of leadership by the Voting Membership. While not everyone enjoys filming in the group, we do other activities such as photography shoots, festivals (both as paying guests and on cast), and other personal outings such as lunch, dinner, movie nights, and other social functions. We put our friendships with each other as the highest priority within the group. Since 2016, we have completed 3 Short Films, two Feature Length Films (our 2017 film in process of being remastered for 2019, the other 2018 film in post-production), have participated on cast at several venues in both Colorado and New Mexico, and have expanded our Social Media presence. Additionally, we will be starting our 2019 film season in March and have pending casting obligations at two festivals for the year. Looking forward to the future, we have several other multimedia projects either in the early beginning stages or having plans for 2020 and beyond. As we enter our 3rd year of continued growth and success, our multimedia portfolio is expanding. Organizationally, we operate 9 months of the year (February through October), have an off-season of 3 months (November through January), and regionally operate Colorado Springs to the Denver Metropolitan Area (including New Mexico & Oklahoma). 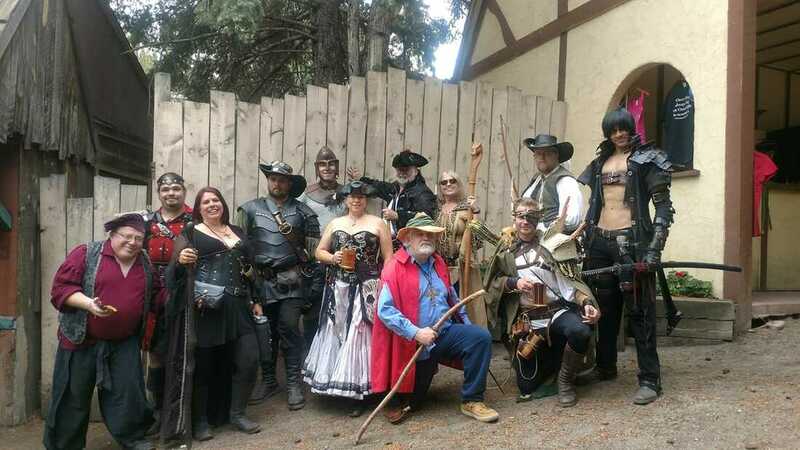 We offer Services for various adventures including charity, festival casts, and movie casts; we accept payment only individually (not as an organization) for operating policies involving festival or movie casts. Other then that, we only accept cash tips for otherwise volunteer services we are providing free of any obligated service payment. Very important to us are our Community Partnerships, which we have built through our Services & professional networking. HOW WE DO IT ---- We have two (2) very important meetings a year, one in February and the other in September/October. The first meeting of every "season" for us is in February, which we discuss storytelling for our multimedia projects, operational goals for the organization, and any "business" we need to handle as a hobby group. Our second meeting of the season is towards the end and is considered our "End of Year" meeting, in which we review the 3 items stated above (storytelling, goals, & business). In between these two meetings, we connect with our Voting Membership via various communication and social networking tools to handle multimedia projects (including script & logistics), attain our organizational goals, and handle festival & event casting. We hold both our Membership & Volunteers to fair & reasonable standards that are outlined in both our Code of Conduct & Group By-Laws (Membership) and our CHIDMA Form (Volunteers). In light of that, we maintain an environment for our Voting Membership & Volunteers of understanding, acceptance, and respect; directly in our Code of Conduct & Group By-Laws, we state the need to respect everyone in the group with "dignity & fairness". We do not judge anyone and hope to not be judged ourselves. All of our Voting Membership & Volunteers perform with The Valiant Few at their own free will and we encourage all personnel within our organization to be themselves without fear of judgement. We ask both our Voting Membership & Volunteers to respect and follow all local, State, and Federal law. ​Lastly---but most important---we stress to our Membership & Volunteers to put their families, professional lives, and personal obligations ahead of our Hobby Group activities. There is nothing more important in this world then family & friends and as an organization, The Valiant Few makes sure our Membership & Volunteers understand that its okay if us (The Valiant Few) are last on their priority list in the daily craziness of life. Because of this dedication to those family values, sometimes we have to adjust planned activities day-of to account for last minute family emergencies and other obligations. We always make even the shortest of staffed activities work and its our greatest joy to see our Membership & Volunteers smile and feel welcomed when they know we're always here for them, seeking what is best for them as a individual, not what's best for The Valiant Few. We never judge our Membership or Volunteers for missing a planned activity and we're always here to help them when they need a helping hand.